It has gel like consistency which glides smoothly on the lips without smudging and applies evenly. It it feels very light on lips. It is an astonishingly pigmented lip gloss, gives saturated colour with a single swipe and feels like liquid lipstick. It is extremely hydrating, giving a healthy look to lips. It has a doe-foot applicator which makes it easy to apply. Explore the entire range of Lip Gloss available on Nykaa. 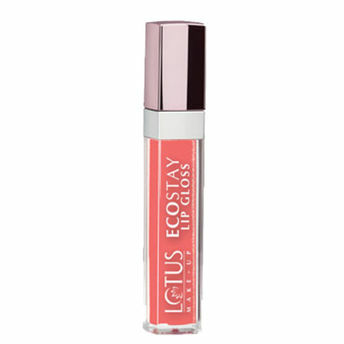 Shop more Lotus Herbals products here.You can browse through the complete world of Lotus Herbals Lip Gloss .Alternatively, you can also find many more products from the Lotus Make-Up Ecostay Lip Gloss range.